Lets talk about letting go. I got an email with a simple question last week; how do I let go? Letting go is not something that you do. It is non-doing. It isn’t an achievement, or even a goal. The minute you make letting go your goal, you’ve missed the point. The point is just to be. 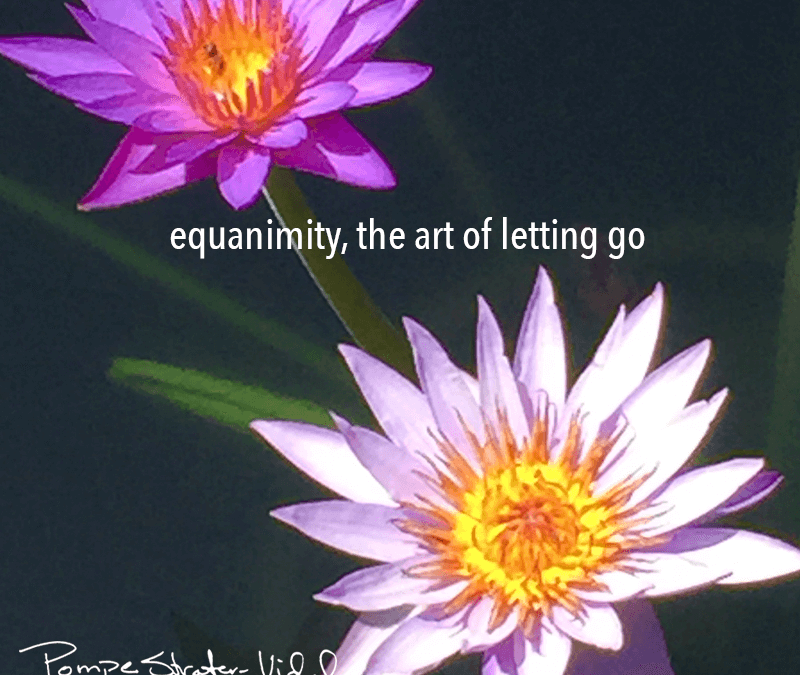 Equanimity is a state of nonattachment. That’s why it’s an experience of inner peace, and of calm awareness. Attachments pull you in their direction, like when your thoughts take off like a runaway train. Suddenly you’re lost in them, focused on a particular outcome, like what to have for dinner, or where to go on vacation. In meditation, you let go by bringing your attention gently back to your breath, over and over again. You learn how to shift your attention and awareness from your thoughts and feelings to your breath. Remember this:) Equanimity includes loving kindness, compassion and joy, the 4 aspects of Immeasurable Mind. When you learn to let go of your attachments with kindness and love, you open the door to joy.